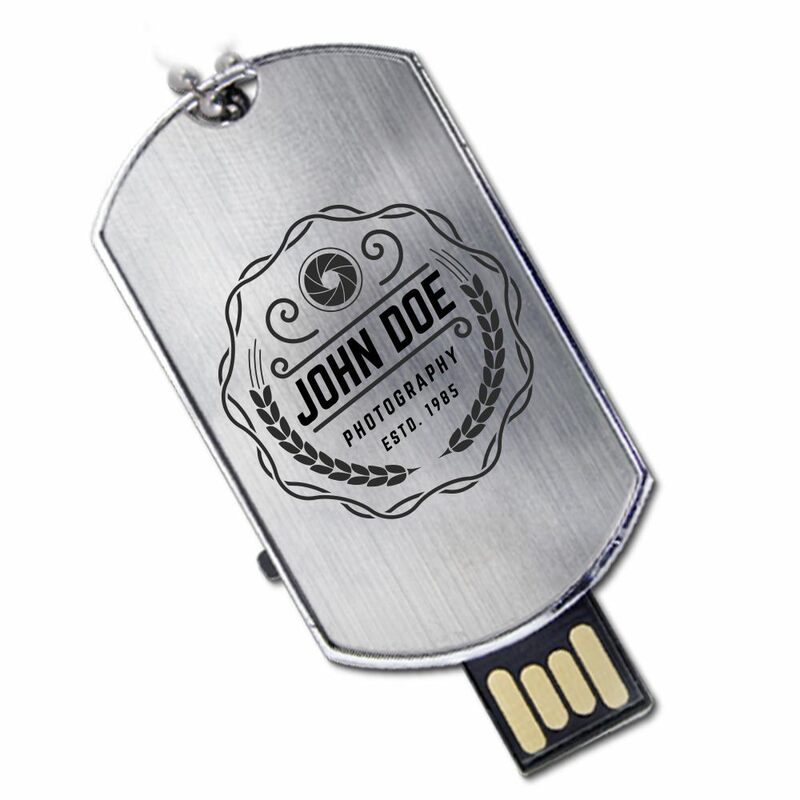 The perfect custom USB for photographers and people who want to show their American pride! Our Military custom drive is made out of durable metal and shaped like a dog tag. It’s a wearable drive with a Hi-Speed USB connector that pops out on a slider. 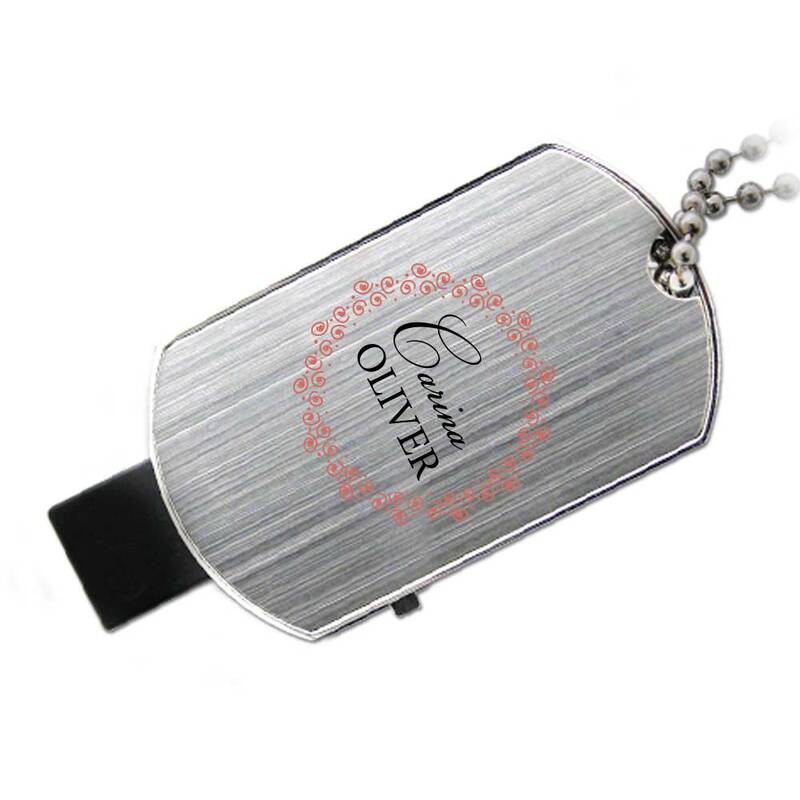 Customize the dog tag drive with your brand or logo to make it a powerful promotional item or USB drive gift. If you’re looking to show your patriotism, our Military USB custom drive is a great way to show off your red, white, and blue pride. These custom drives are shaped like military dog tags. 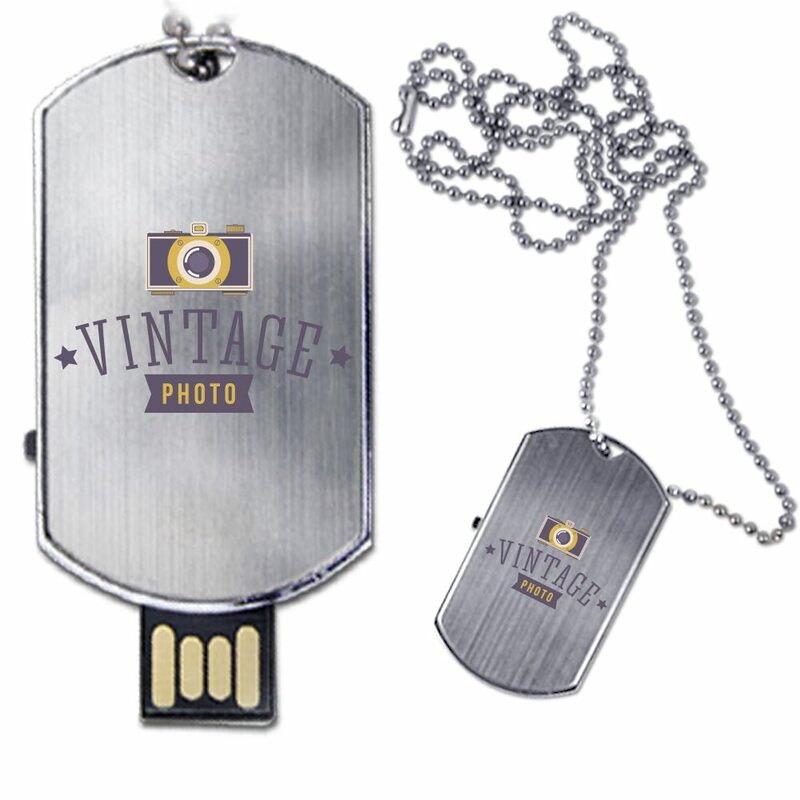 Made out of tough and durable metal, these handsome USB drives are designed to be worn on the go. These wearable flash drives come with a USB connector on a slider that protects your USB drive when it’s not in use. 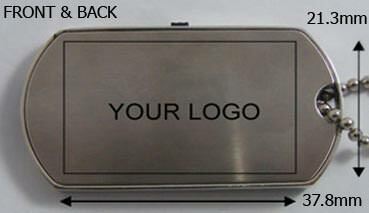 You can customize your Military drive by laser printing or engraving it with your logo or brand. 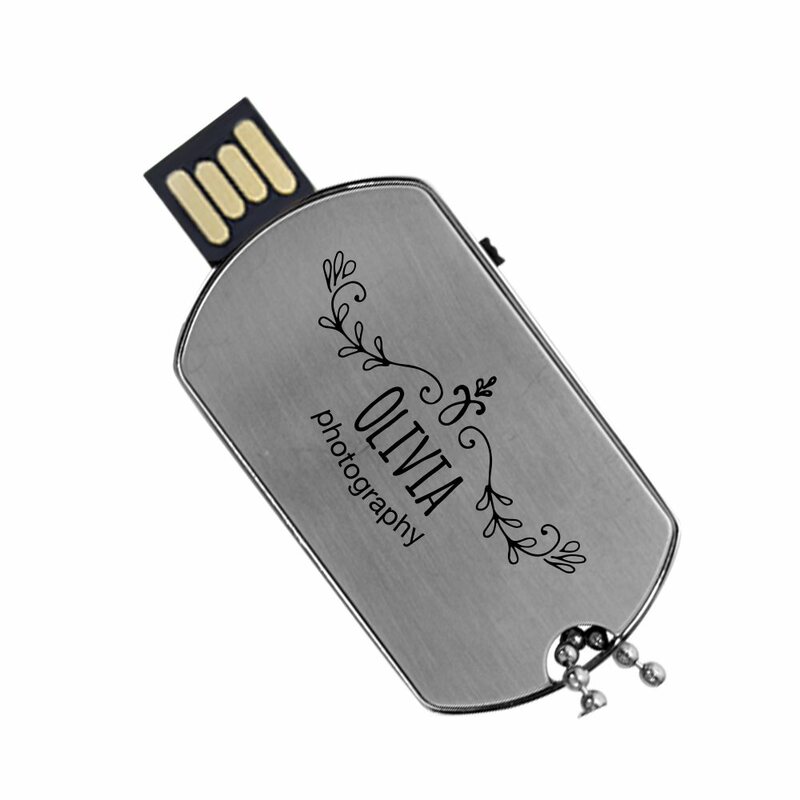 It features a large data storage capacity, perfect for holding onto your most important photos. 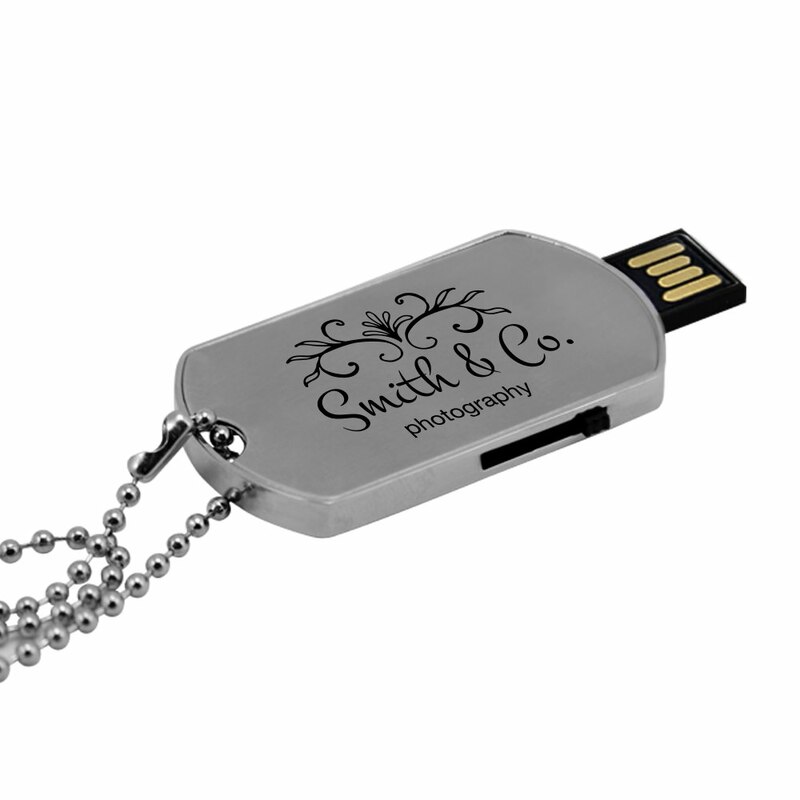 The Military drive is a great promotional item to hand out at weddings, family gatherings, senior photo shoots, corporate events, or while doing photojournalism in the field.